The following is an excerpt from The Complete Guide to Hiring & Retaining Early Childhood Educators. Click here to download the full eBook. Employee retention begins on day one. If you make a conscious effort to keep your employees happy and motivated, they will be more likely to stay for longer and perform better at their jobs. Retention is not something you get out of the way with a holiday party each year; it is the sum of many small parts. Anything you can do to make your employees feel valued will strengthen your relationship. Many employers believe they can’t do much for employee retention because there is not enough budget for extras like these. When you consider the costs for replacing employees, a budget for retention efforts is money well spent. Core values may not be what come to mind when you think of retention, but they provide a clear shared purpose for everyone to rally behind. They will help you attract the right candidates when hiring and serve as a reminder for what you should focus on. For example, if one of your core values is to give back to the community, your staff would likely enjoy organizing a volunteering day as a team-building activity. These values motivate our team to focus on initiatives that reflect at least one of these values, and we celebrate when someone has done something that reflects these values. It can be easy when creating core values to put a bunch of buzzwords that don’t actually mean anything, so make sure that your core values are things that you will actually live by and truly reflect who you are! Never assume that your staff knows how much you appreciate their great work. We all crave approval, and great employers make a conscious effort to regularly praise their employees. Have regular check-ins with your employees so you have a set time to focus on them. Throughout the week, make a note of any time you notice something that they have done well. Mention these during your check-ins so your employee knows you have noticed their great work. Some organizations have a program like Employee of the Month to recognize those who have recently excelled. To avoid making it seem like you have your favorite employees and causing tension within the team, you can have the winner of this award choose and present it to the next month’s winner. It is also helpful if the award is an actual object (such as a trophy, doll, or anything else), to serve as a visual reminder and motivator throughout the month. Pay close attention to birthdays and work anniversaries as well. Job searching tends to go up when work anniversaries are approaching, so this is a crucial time to show how much you appreciate all of their hard work. Your employees will want to grow in their roles, and you will be able to keep them around for longer if they can do so with you. If you have enough employees, try creating a mentorship program that pairs senior staff members with their junior colleagues. This helps newer staff develop more skills, provides senior staff the opportunity to develop leadership skills, and also helps to nurture positive relationships among team members. Develop a five-year plan with each staff member. A long-term goal gives them something to aspire towards, plus shows that you are committed to their development. For example, if a teacher would like to be a director within five years, you will know to provide them with more responsibilities so they will eventually be qualified for that position. Ongoing training can also help make your employees better at their jobs and help them grow as professionals. These can be with specialists that you bring into your center, going offsite to a professional event in your area, or even through a free online webinar. A fun social activity can do wonders for improving morale, especially in an often stressful and exhausting environment like a child care center. They provide employees with an opportunity to unwind together, get to know each other better and create fun memories to reflect on later. There are many types of activities to choose from, and which one is best will depend on your staff’s interests and what your budget allows. If possible, host it outside of your workplace. A new environment will help your staff leave their work behind and shift their focus towards having fun. Also, choose an activity that will encourage staff to interact with one another. Having a tangible reward gives employees something to go above and beyond to work towards. For example, you can award a $50 Amazon gift card to the teacher who includes the most photos in their daily reports for parents. This will motivate your staff to focus on producing detailed reports, which will improve your relationship with parents. Just be wary of preventing animosity among staff when providing individual rewards like these. will need to be more substantial than an individual reward. 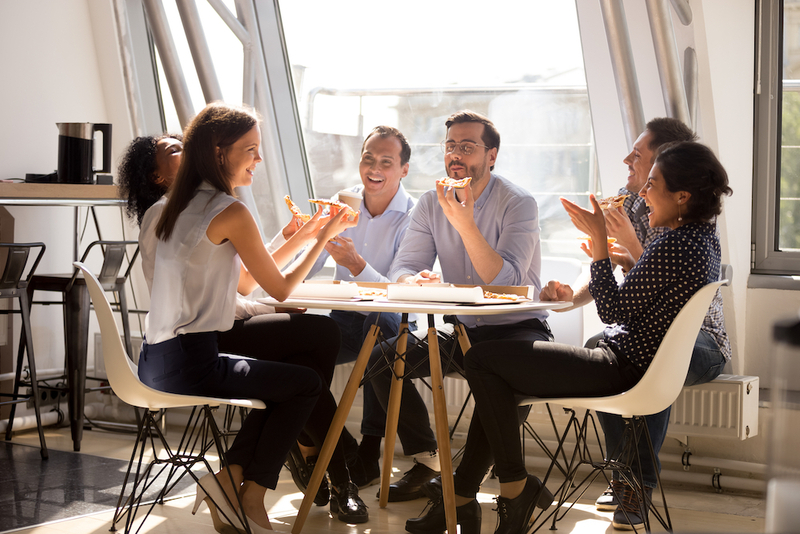 An example of a team reward can be going out for a free dinner at a restaurant if the classroom passes an organization inspection each day for a month. To some degree, an employee will always be uncomfortable fully disclosing what is on their mind. 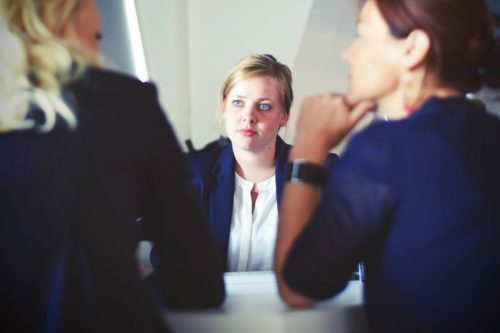 Employers will often only discover this information when an employee leaves, and sometimes the employee will still be uncomfortable sharing this information at this point. Providing a way for staff to anonymously share what is bothering them or ways to improve will allow you to address these concerns while you still have your employee, which will hopefully keep them around for longer. You can collect feedback with a suggestion box left in a place where they can easily leave a note without others seeing. Some employees may still be uncomfortable with this because they may worry about their handwriting being identified, in which case you can allow them to provide feedback digitally. For example, you can use Google Forms to easily create a form and adjust the settings so submissions are anonymous. It is always a good idea to keep a pulse on what early childhood educators in your area are making, especially if your center has been around for a long time and your salaries may not have not aged well. Speak to any center owners or educators in your network and see if they are willing to share salary information. If you are uncomfortable doing so, there are also some websites like PayScale, Glassdoor and Indeed that allow people to anonymously share their job salaries, which are then collected to present salary ranges. When viewing this information, pay attention to how many submissions these are based on to judge how accurate these salaries truly are, and make sure you are only searching for salaries in your area or a comparable city. Want to read the full eBook? Download your free copy below!